The field of dentistry is always changing, and at the practice of Robert Pearce, DDS, we have developed an effective strategy of incorporating new advancements in technology while also maintaining traditional and proven methods. As your local Point Richmond dentist, Dr. Robert Pearce always has your interest at heart and embraces all the new technologies that improve the quality of care our patients receive. CEREC® is one of the extraordinary advancements in dentistry technology offered in Point Richmond, CA by Dr. Robert Pearce. 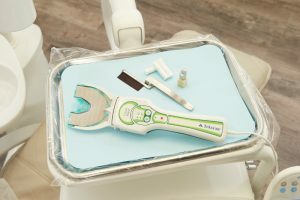 The system allows him to create custom-fit ceramic restorations in a single appointment, as opposed to sending molds to outside dental labs as was previously necessary. For high-quality, fast, single-appointment restorations using the CEREC® system, there is no better place in the Point Richmond, Richmond, or San Pablo areas than Dr. Robert Pearce. 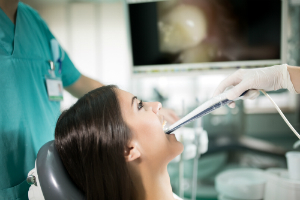 During your procedure, Dr. Pearce will first examine your teeth and determine the proper treatment. CEREC® can create several restorations for both functionality and cosmetic purposes. These include crowns, onlays, veneers, and fillings. Next, any damage or decay will be removed and a special powder will be used to coat the tooth. A camera that detects the powder takes an optical impression, and a computer converts this data into a three-dimensional virtual image, allowing Dr. Pearce to design the restoration. The CEREC® machine then shapes the piece of ceramic right in our office. It is finished in minutes and can immediately be bonded into place on your teeth. CEREC® has done an unparalleled job of streamlining the process of creating this sort of restoration. Contact our office or call (510) 233-4470 for additional information regarding single-visit CEREC® restorations in Point Richmond, Richmond, and San Pablo. 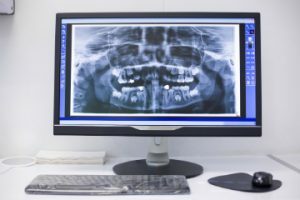 Highly detailed images and important information can be obtained through the use of X-rays, and Dr. Robert Pearce, your local Point Richmond, CA dentist uses them to look inside your jaw and bone structure to diagnose problems that would otherwise remain hidden. However, X-rays can be harmful and can even cause cancer with prolonged exposure, which is why heavy lead vests are used. That potential danger is one of the reasons why Dr. Pearce use a digital X-ray system at his office. 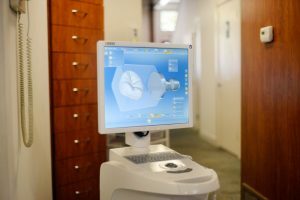 As well as providing one of the highest quality digital images, it also reduces the amount of radiation by 90 percent when compared to traditional X-ray systems. It is a great asset to have in our office. Contact Dr. Pearce for additional information on digital X-rays in Point Richmond, Richmond, and San Pablo. Measure your bite with precision! 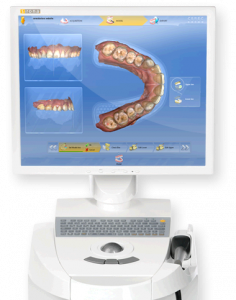 T-Scan™ is the system we use to analyze the “occlusion” of your teeth, meaning the way they close together when biting and chewing. As the only clinically-recognized and research-validated system of its kind, T-Scan is an important piece of technology at our practice. Patients simply bite on the indicator and our state-of-the-art, digital software identifies all the contact points, areas of high pressure, and the entire interrelationship of teeth surfaces. It has become an important part of both diagnosis and ongoing post-treatment analysis. 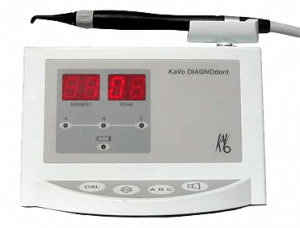 With T-Scan, we can help balance your malocclusion with precision and accuracy! At our Point Richmond dental office we know that prevention is the very best way to stop tooth decay. This requires everyday participation on the part of the patient by way of brushing, flossing, and using an antibacterial mouthwash. Along with regular cleanings, the next most crucial step that can be taken is early detection of problems, which is exactly the issue addressed by the DIAGNOdent® dental caries detection system, offered by Dr. Robert Pearce. Using a special laser Dr. Robert Pearce will sweep over your teeth, scanning for even the smallest indentation or imperfection. These precursors of cavities can be identified and preventative action such as using a tooth sealant or altering your brushing regimen can be implemented. At our dental practice we have seen excellent results in preventing extensive tooth loss through the use of our DIAGNOdent®, and we highly recommend it for all our patients from across the Point Richmond, Richmond, and San Pablo areas. Contact us for additional information or schedule an appointment online.